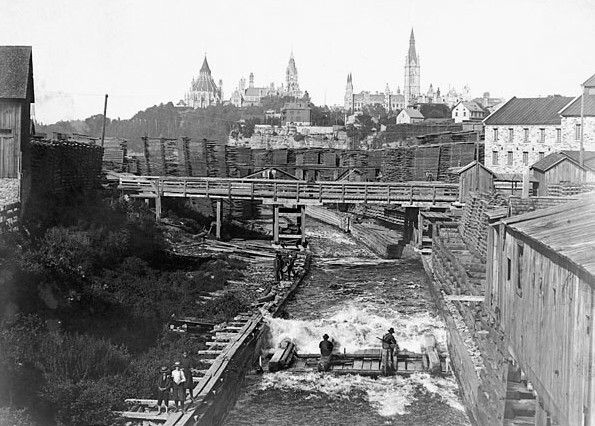 NiCHE, the Network in Canadian History and the Environment, is pleased to announce that the ninth Canadian History and Environment Summer School will be held in Ottawa from Friday May 29 to Sunday May 31, 2015. This event will be jointly hosted by Carleton University, the University of Ottawa, and the Canada Agriculture and Food Museum. CHESS takes place prior to the Canadian Historical Association annual meeting, and will be organized so that participants can move seamlessly between it and the CHA, which is being held at the University of Ottawa. The theme of CHESS 2015, Ottawa: Environmental Capital, is an invitation to consider the relationship the environment has to Ottawa’s role as the nation’s seat of government. In working with this theme, we will observe the many ways in which longstanding contestations and competing claims over land and water in the Ottawa region connect to the ‘capital-ness’ of the city, be it with regard to Indigenous claims, the mandate of the National Capital Commission, or the future of lands such as LeBreton Flats and the industrial area around Chaudière Falls currently under residential development. CHESS 2015 will take place at sites including Carleton University, the Canadian War Museum, and the Canada Agriculture and Food Museum, and it will include a number of field trips. As such, CHESS 2015 offers a unique opportunity to explore the environmental dimensions of Ottawa and, in turn, to consider how this transformative political designation intersects with the environment in capital cities around the world. CHESS provides a forum where graduate students, postdoctoral fellows, faculty members, and others who are interested in historical approaches to the environment can interact and exchange ideas. Introducing non-specialists to the field of environmental history is also an important goal. The organizers will seek appropriate representation from each of these categories, but space is limited. All who are interested in participating in CHESS are invited to apply by email to Daniel Rück (drueck@uottawa.ca) by February 27, 2015. Applications should be attached as a single Word document or PDF, and must include a CV (2 pages max.) and brief statement (150-250 words) indicating how the applicant hopes to benefit from participation in the summer school. Places in CHESS will be allocated after consideration of these statements, and decisions will be communicated to applicants by mid-March. Further information about presenters, field trips, and other event details will be posted on our website (http://niche-canada.org/chess2015). For any other questions, comments, or concerns regarding the program or events, email Darcy Ingram (dingram@uottawa.ca). NiCHE will cover the costs of meals and two nights’ accommodation at Carleton University for all CHESS participants. Funds will also be available for partial contributions towards travel costs for those in need, with first priority afforded to graduate students. Those seeking travel support will be reimbursed after the event and will need to submit appropriate receipts and boarding passes as applicable. The formula for distributing these funds is still to be determined, but travel grants are expected not to exceed $600 CDN. It is the responsibility of participants to make their own travel arrangements so as to arrive in Ottawa and to be able to depart from Carleton University by 5pm on Friday, May 29. If you will not require accommodation at Carleton residences, please let us know in your application.